When was the last time you paused to confront yourself about your faith? 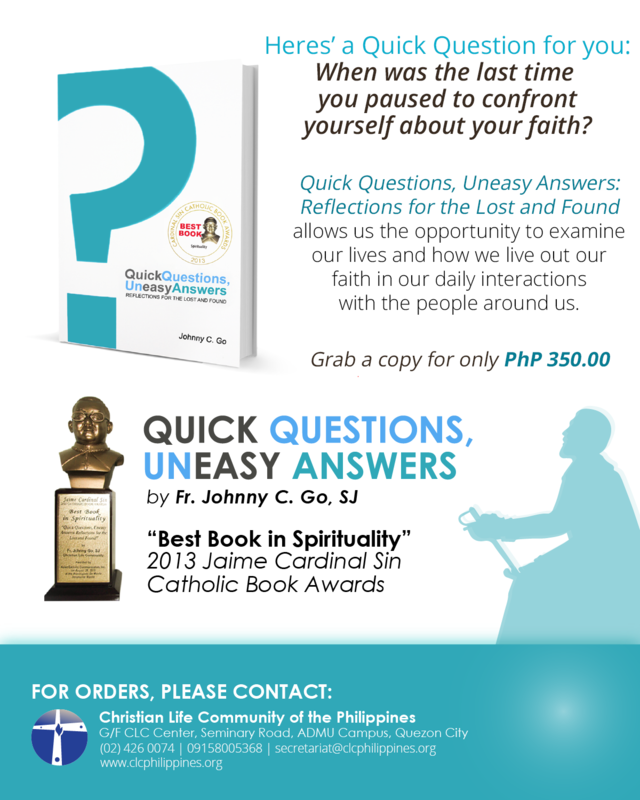 Quick Questions, Uneasy Answers: Reflections for the Lost and Found allows us the opportunity to examine our lives and how we live out our faith in our daily interactions with the people around us. Carefully selected and compiled from the Bible blog, Pins of Light (www.pinsoflight.net), each chapter takes us on a spiritual journey in accordance with the four weeks of the Spiritual Exercises (SpEx) of St. Ignatius of Loyola. With real commentaries from the Bible blog's followers, this book invites readers to engage in a deeper dialogue with God, to love Him more intimately and serve Him more eagerly.